WASHINGTON — Suborbital spaceflight company Virgin Galactic laid off about 40 people earlier this month as part of a realignment of “skill sets” in the company’s workforce as it prepares to shift into commercial operations later this year. In a statement to SpaceNews, Virgin Galactic confirmed the layoffs that accounted for roughly five percent of the overall workforce at Virgin Galactic and its subsidiary, The Spaceship Company. The layoffs were first reported Jan. 25 by New Mexico publication NMPolitics.net. Most of the affected employees are at the company’s facilities in Mojave, California, where it is building and testing its SpaceShipTwo suborbital spaceplane. Three people were laid off in New Mexico, where the company is preparing for commercial operations of the vehicle from Spaceport America scheduled to begin later this year. 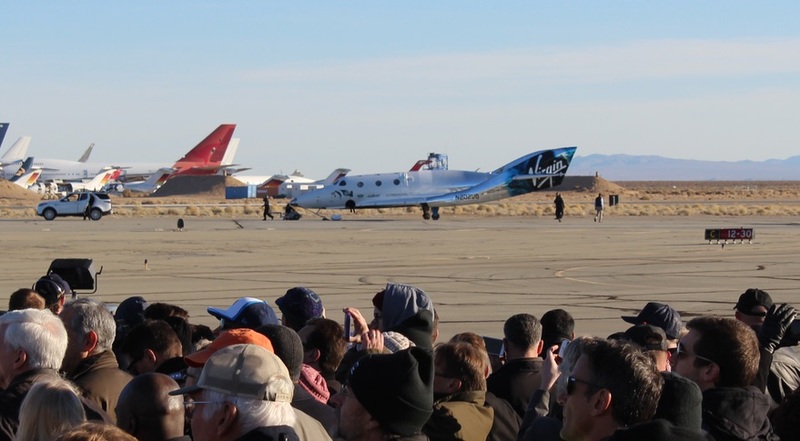 The layoffs took place in early January, less than a month after the company performed the first test flight of SpaceShipTwo that flew above the 50-mile (80-kilometer) altitude used by U.S. government agencies for awarding astronaut wings. Virgin Galactic is using that altitude, rather than the 100-kilometer Karman Line, as the boundary of space for its flights. Those layoffs will not affect plans to continue testing SpaceShipTwo, with the next test flight expected to take place the coming weeks. Company founder Richard Branson, in a television interview Jan. 24, said he expected that next test flight to take place “in a handful of weeks,” with commercial flights beginning in the middle of the year. He made no mention of any changes in staffing in that interview. “This does not deter us from our commitment to New Mexico or the spaceport at all,” the company official said of the layoffs. Virgin Galactic is the third commercial spaceflight company this month to announce significant layoffs. SpaceX said Jan. 11 it was laying off about 10 percent of its overall workforce of more than 6,000 employees, including 577 at its headquarters in Hawthorne, California. SpaceX said it “must become a leaner company” in order to carry out its plans to develop the Starlink broadband constellation and Starship/Super Heavy reusable launch system. Stratolaunch announced Jan. 18 that it was terminating work on a family of launch vehicles intended to be flown on its giant aircraft under development, as well as the rocket engine that would have powered them. The company said it was “streamlining operations” to focus on completion of the aircraft, which will now be used solely for launching Pegasus XL rockets. The company didn’t disclose the size of layoffs resulting from that streamlining, but industry sources said up to several dozen people lost their jobs.